Very happy with this purchase. Cozy, looks nice, crisp, high quality. I love this set. we have an older house and it gets a little chilly in the winter.it is a heavier flannel. I purchase the king size because queens never seem big enough. I only wish you could purchase the shams separate. i had to purchase cheap king size pillows for the shams. 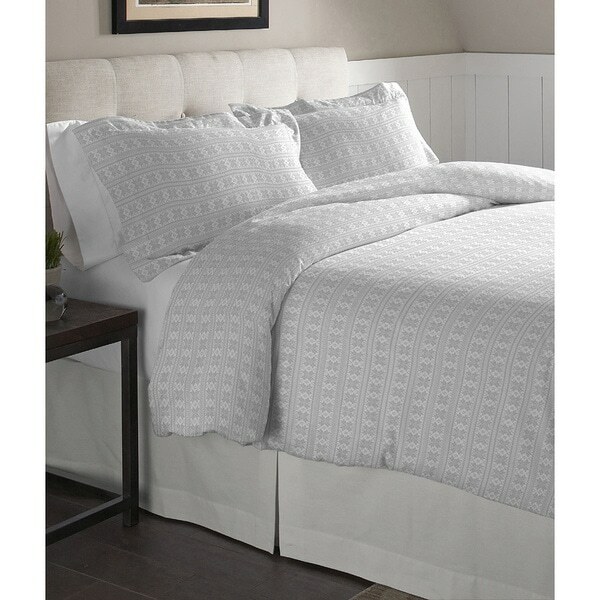 This duvet is perfect - nice soft fabric, easy to wash and the neutral color goes with anything. Soft, attractive, and warm. What more can you ask! Very nice quality. Thick, heavy and launder well.